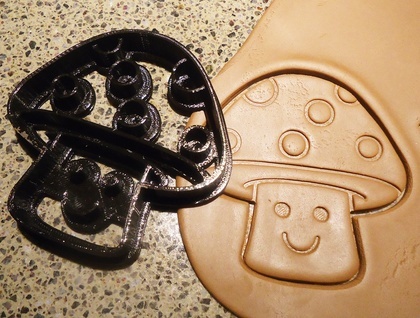 Toadstool shaped 3D printed cookie cutter. 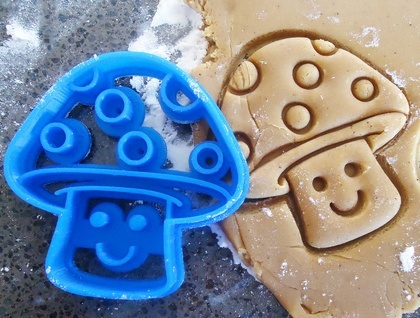 Can be used to make cookies, cut fondant decorations and playing with play dough. Great for kids themed parties. Available in Black, Green, Blue, Orange, Pink, Purple, Yellow, or Red. Please message if you would like a particular colour. 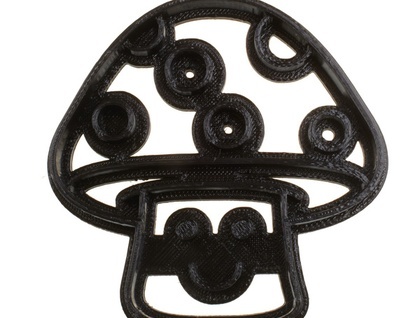 The cutter dimensions are 9 x 8.5 cm (3.54 x 3.34 inches).